Here's Why Antifa Radicals Should Be Officially Labeled As A Terror Group - Do You Agree? Here’s Why Antifa Radicals Should Be Officially Labeled As A Terror Group – Do You Agree? Do you think that violent thugs that are rioting and burning down private businesses, bringing weapons to rallies, and throwing urine at people should be allowed to roam the streets? Or should they be called ‘terrorists’? These Antifa bullies are getting a lot of attention and that’s a two-edged sword — they are gaining momentum by the anti-Trump leftists as ‘activists’ for the cause, but sane people are denouncing their ‘black bloc’ tactics, masks, and violent proclivities. And sane people are taking action. 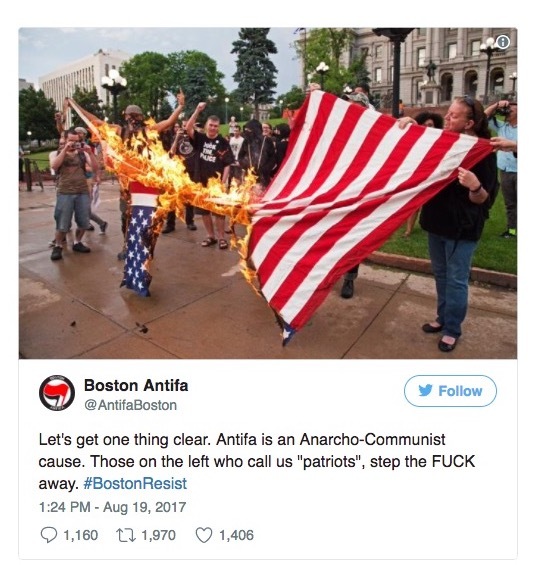 Just a few days ago, on August 17, a petition was launched on ‘We The People’ to label Antifa a terrorist group. As of the writing of this article, the petition has over 230,000 signatures. It had reached over the 100,000 goal in just 3 days. The ‘We The People‘ section of WhiteHouse.gov was launched in 2011 by Barry’s administration. 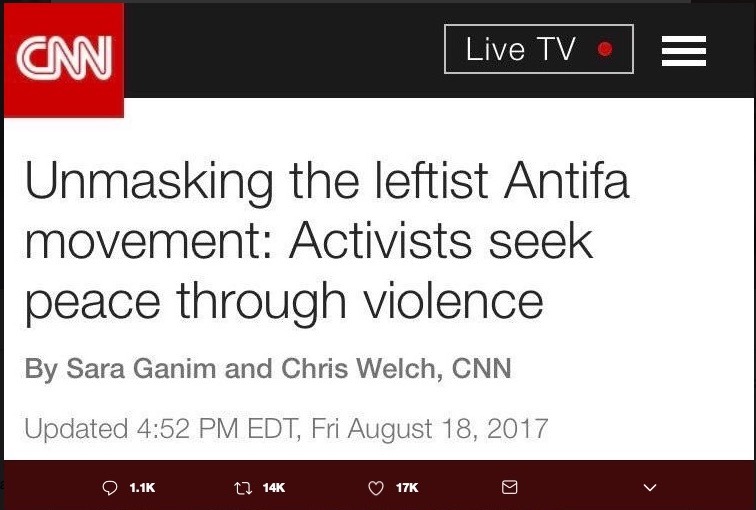 So, concerned citizens that agree with the President that there are problems on ‘many sides’ are using Barry’s tool to label Antifa a ‘terrorist group’. How will CNN take that, I wonder? As Benny Johnson of Independent Journal Review pointed out, the CNN headline was changed. Wow, was that just a couple of months ago? Looks like they’re ok with ‘bullying’ if it’s against Conservatives. But are we really surprised with that? They’re anarcho-communists, yes, kiddies, the worst of both worlds. So, if you were cool with them roaming the streets with axes, then carry on. Frankly, I’d rather have these guys out there saying exactly who they are and exercising their right to free speech. That gives all of us the opportunity to denounce them like with this petition. It’s much better than them hiding their anti-American ideas in the dark and fomenting violence. 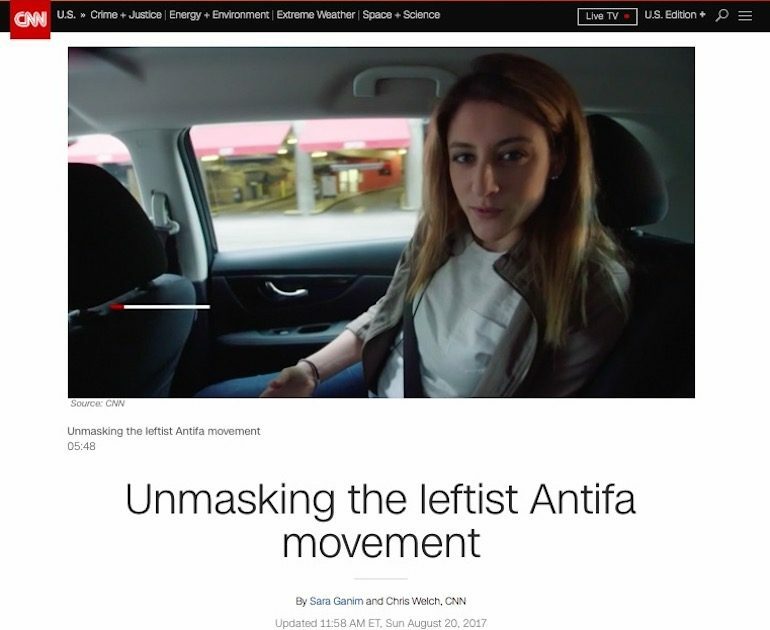 Now that they’ve been revealed who they really are, maybe someone on the left can actually denounce them. But don’t hold your breath on that one. Kid Rock, Possible MI Senate Candidate, Just BLASTED Colin Kaepernick!